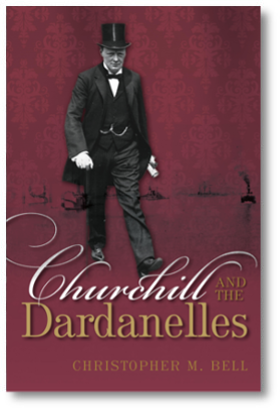 Churchill and Sea Power is a very different sort of publishing experience for me. I always thought my first two books had some commercial potential, but looking back I can see that they were destined to be typical ‘academic’ publications. They looked and felt like ‘real’ books -- which was very gratifying, to be sure -- but they were never going to reach a large audience. Both volumes had a small print run, were sold at prices ranging from ‘high’ to ‘absurdly high’, and were marketed (I use the term loosely) to libraries and a handful of specialist academics. The publishers’ strategy was high margins, low sales. And I can't fault them for that. Many quality manuscripts would never make it into print if this business model didn’t exist. In fact, it’s a pretty good arrangement for all concerned: the publishers make a modest profit, and academics are able to produce worthwhile books that have little or no commercial appeal. When I signed the contract for my first book, I didn’t care how many copies it would sell. I never expected to make any money off it – and I was certainly never going to recover the cost of my PhD! My goal at the time was to find employment in a very tough academic job market. And for that, a book could make a big difference. So I was just grateful to be getting published at all. And I have to admit, my first book, The Royal Navy, Seapower and Strategy between the Wars, was pretty specialised. It read much like what it was -- a revised PhD dissertation. I would like to think that it was more readable and accessible than most revised dissertations, but there’s no denying that it required some familiarity with the subject to follow the book’s main arguments. Fortunately, the book fulfilled its intended function. In 2001, gainfully employed at the Naval War College in Newport, Rhode Island, I embarked on a new book project with one of my colleagues, Bruce Elleman. The result was Naval Mutinies of the Twentieth Century. We thought the subject matter would appeal to a wide audience, and even though it was unmistakably a scholarly book, we took care to make it accessible to the non-academic reader as well. Unfortunately, the publisher we went with was not inclined to look beyond the usual academic market. In hindsight, we should have taken some more time and shopped around a bit longer. But now that I had a job, the goal was to keep it – and there was a lot to be said for going with a press we knew could get the book out quickly. Besides, it was a perfectly respectable publisher, and the book would appear in a well-regarded naval history series. When the hardcover edition of Naval Mutinies of the Twentieth Century was published in July 2003, it was priced at around $55, which didn’t strike me as outrageous. And we knew there was a paperback edition coming, which would help the book find a wider readership. Unfortunately, our publisher changed hands around the time the book came out, and the new regime was even more firmly wedded to the “high margins” business model than the old one. Within a few months, the price of the book more than tripled. The hardcover now retails for $198 on the publisher’s website. This was an unwelcome surprise. Seriously, who, other than a library, is going to buy one at that price? Even with my discount, I can’t afford a copy! Quite a few libraries will probably have to pass on it as well. The paperback is currently sitting at $53.95, which is slightly more reasonable, but still not likely to attract much notice from the book-buying public. Curiously, Naval Mutinies of the Twentieth Century was translated into Czech a few years ago, in a hardcover edition that sold for about $20. I discovered this purely by accident one day while surfing the web. Our publisher never informed Bruce and me that they had sold the translation rights. And after consulting the fine print in our contract, I discovered that we were not entitled to any royalties on this new edition. I contacted the Prague-based publisher of the new edition, and they very kindly sent me a copy of the Czech edition. They evidently saw the potential for reaching a wide readership. And since the book seems to be out of print now, I assume their faith was not entirely misplaced. Oddly enough, the book has probably sold more copies in the Czech Republic than the English-language edition has sold in the rest of the world!